Celebrate! Martini Glass | CowParade Retired Figurines | One Price Low Flat Shipping! 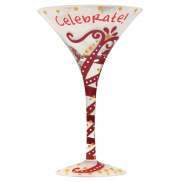 From the Touch of Glass Collection: Celebrate!